We have lived in Des Moines, Iowa most of our lives. Years ago, a job transfer took us to Sydney, Australia where we spent many weekends at the beach. We could've stayed there forever, but it was so far away from family. We are retired, have two children and 8 grandchildren. 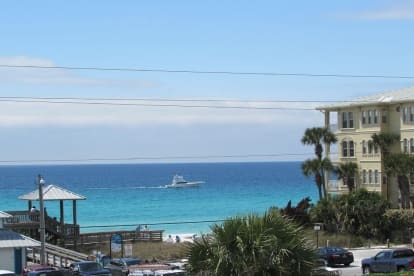 We love the beach and fell in love with 30-A! We agree with many that this is the Top Beach Destination in the world! We love our location, which is more quiet, yet bustling with world class restaurants, quaint art shops, music and many activities during the day or night. We are close to everything we've ever dreamed about! In fact, we barely need a car!